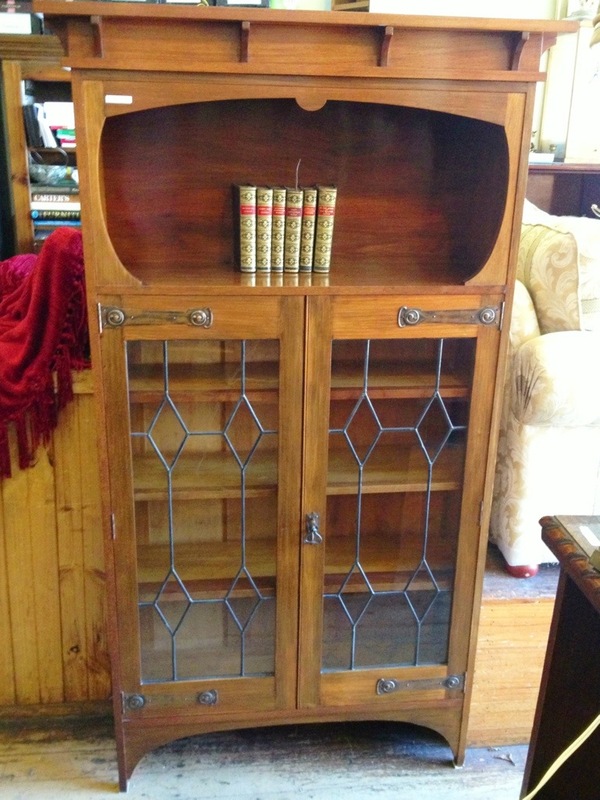 Bureau / Leadlight bookcase. Sold. 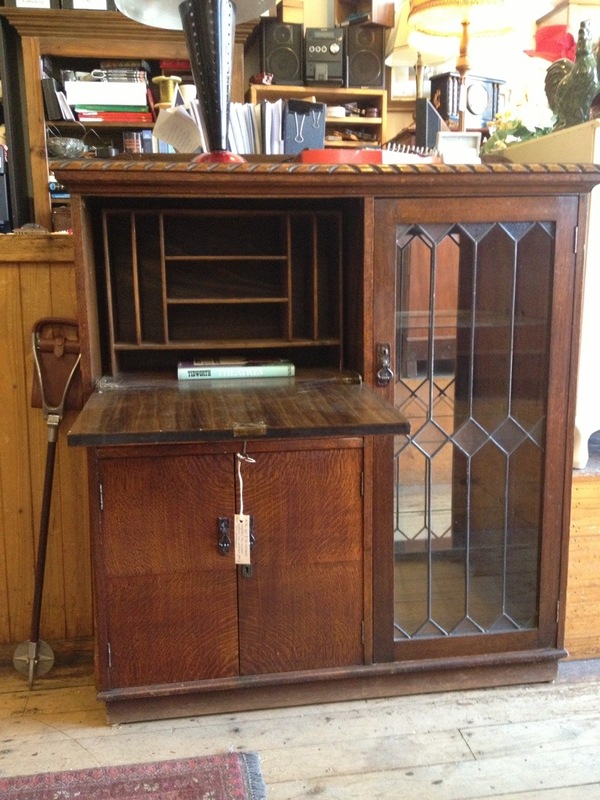 This useful drop down desk or writing bureau was built around the time of the Second World War from Tasmanian oak. Quite handy in that within a floor space of 110 x 33 cms one can have a display cabinet, filing pigeon holes, a desk area that’s always clear and cupboards below. Crikey! Who would have thought it. $370. 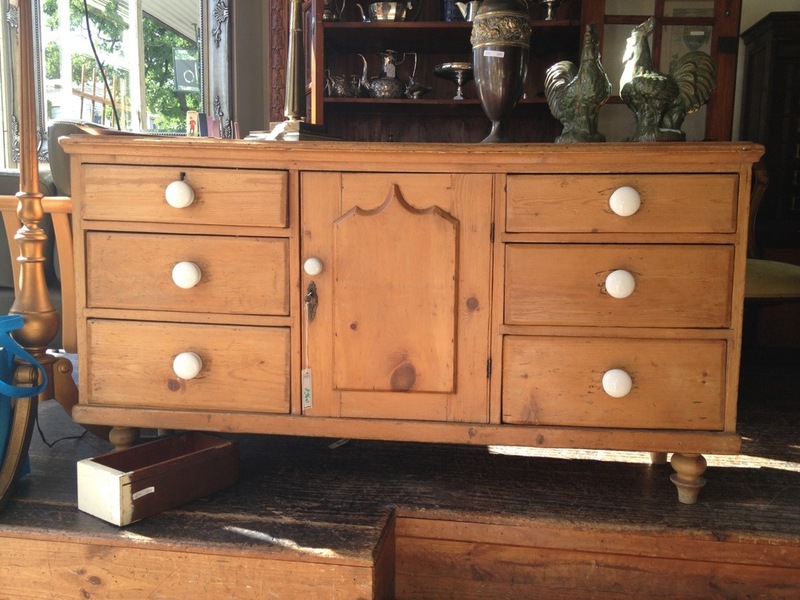 Antique Baltic pine dresser base from the late 1800’s. 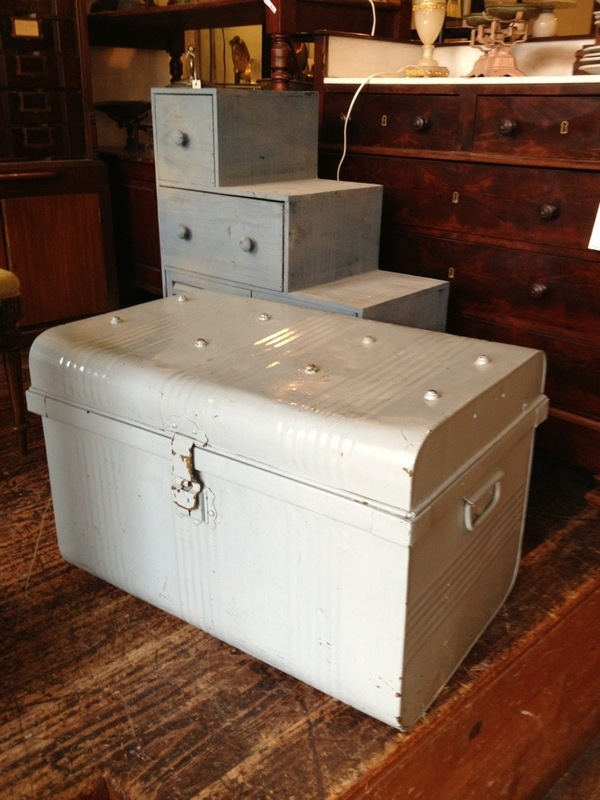 This would make an excellent sideboard at 144cms (five feet) wide. The depth is 45cms and the height 78. The timber is a welcoming honey colour, and the porcelain knobs are an attractive (if later) feature. $970. 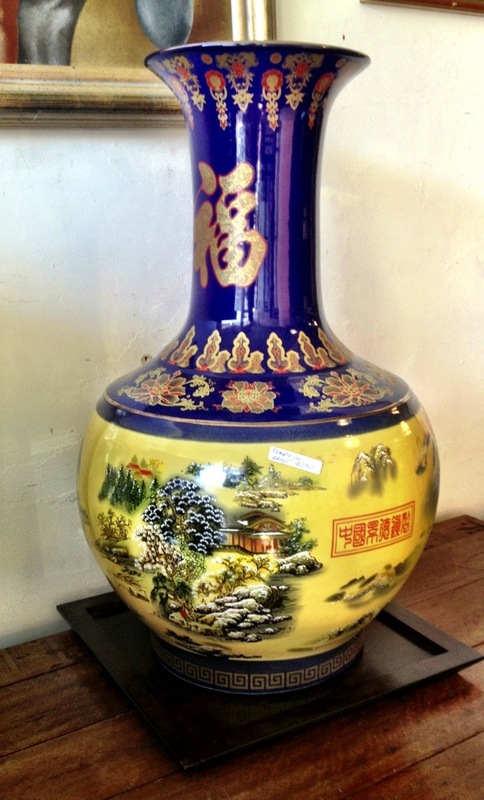 Very large, 60cms high, 40cms wide, Chinese temple jar with separate wooden plinth. Probably 1950 / 1960. $370. 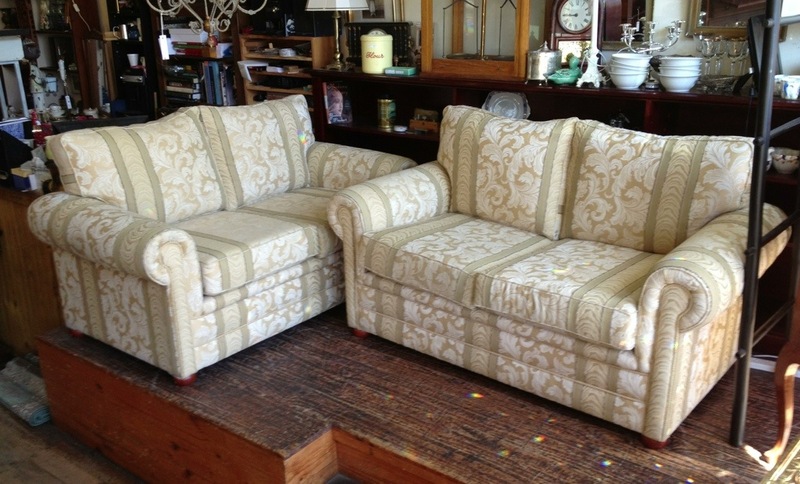 Rolled arm sofas with classical upholstery pattern. Deep cushions on the seat and back. 170cm x 100cm deep. Received this week. $395 each. 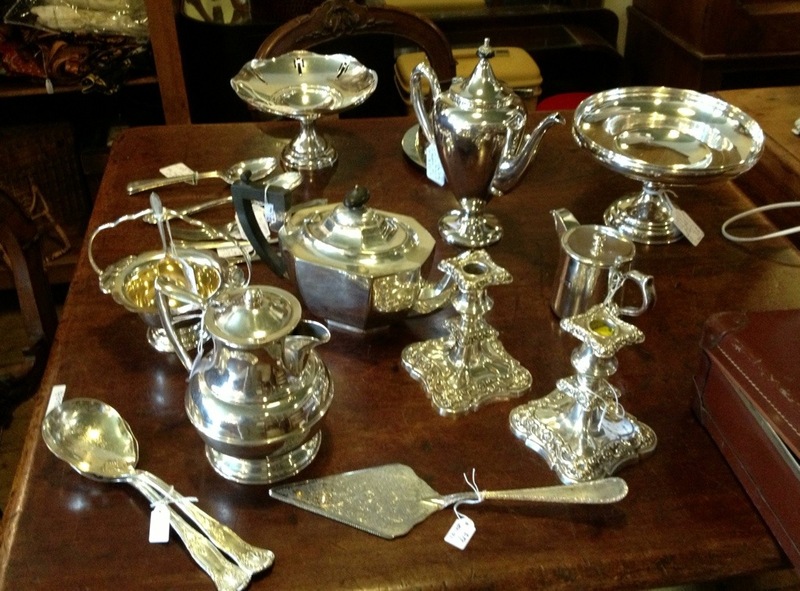 Assorted silver plate items from the 19th and 29th centuries. Prices range from $18 to $69. Condition of individual pieces is very good to excellent.